In the past I've spent some time commenting on the fact that if we look too much to the past: either to its pain or its perceived happiness and glory, we risk becoming caught in a loop that will not allow us to live fully in the present. By going through an experience that somehow resonates with something similar in the past, in particular if the past one was painful, the present one will tend to pull us fully back there and literally keep parts of us in the past, meaning that those parts of us are simply not available for us in the present. However, despite that caveat, there is much to be said for examining our past, for being familiar with its crests and troughs, and in particular, with its patterns. However, in order to be able to recognize all of this, we need to thoroughly know our past, and in order to do that, it needs to have been examined. It needs thinking about, in other words. your first set of roller skates or bike, musical instrument, etc. In other words, the point is to write the obvious, because by so doing, you begin to remember snippets of the less obvious, or the partially forgotten. The object is to have a maximum of 1-3 sheets per year of life, written in bullet-style. And by the way, just do one bit at a time. If you get out the requisite sheets of paper and just write the year and your age at the top on the first day, that's fine. Then leave them in a convenient place in your house, where you may pass frequently, and add a bit each time you remember something. the fact that you are averse to getting the puppy your spouse wants, reminds you of a situation when you were a child, desperate to have a pet, and your parents refused to allow it. Recognizing the similarity in patterns, although in both cases you were on the opposite side of the spectrum, allows you to explore some of the emotions involved and see more clearly, perhaps what this tells you. Are you afraid of hurt or vulnerability? Are you reacting by rote, instead of thinking things through? There are many variations on a theme, and it will be up to you to recognize what applies to you. the hurt you feel today at being blown off at the last minute by a friend with whom you had planned to have lunch, reminds you of an occasion when you were a teen where you were also blown off. This leads you to recognize that people often treat you less well than you would like. This leads you to think about the fact that you find it very hard to speak up when something happens that is hurtful. 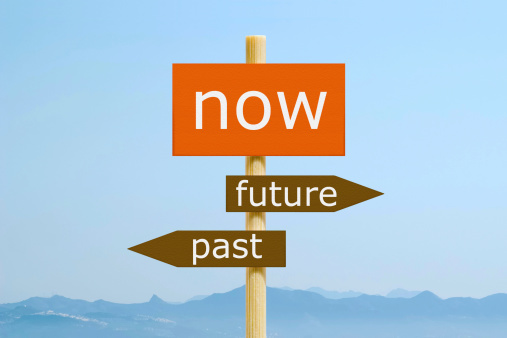 Recognizing these connections between the past and the present will allow you to make changes regarding your life. How are you improving your future today? Note: I've written about this exercise in the past, and talk about it frequently in workshops, groups, speeches, etc. I am always amazed at how few people actually go ahead and do it. While I understand that written exercises are often largely boring, in this instance I believe it can be exciting. One, because you start remembering many snippets from your past that you thought you had forgotten, and two, because in so doing, you can make real connections about your life and its meaning in ways that are often quite difficult to achieve.